Punxsatawney Phil didn’t see his shadow, which traditionally means Spring should be arriving early. That should bring with it (much welcomed) warmer weather across much of the country. And with the warmer weather comes the idea of home improvements. Each year millions of Americans join the movement toward synthetic turf. We want to present this information to anyone who may be opting to have synthetic turf installed in any application as a sort of Buyer’s Guide for Synthetic Turf. Now is the time for homeowners and Home Owner’s Associations to consider synthetic turf as a viable application in many residential communities. The Southern Nevada Water Authority estimates that for every square foot of natural grass replaced with less water dependant alternatives saves 55 gallons of water each year. There is a wide range of products available in the marketplace, some of which are of uncertain quality and durability. 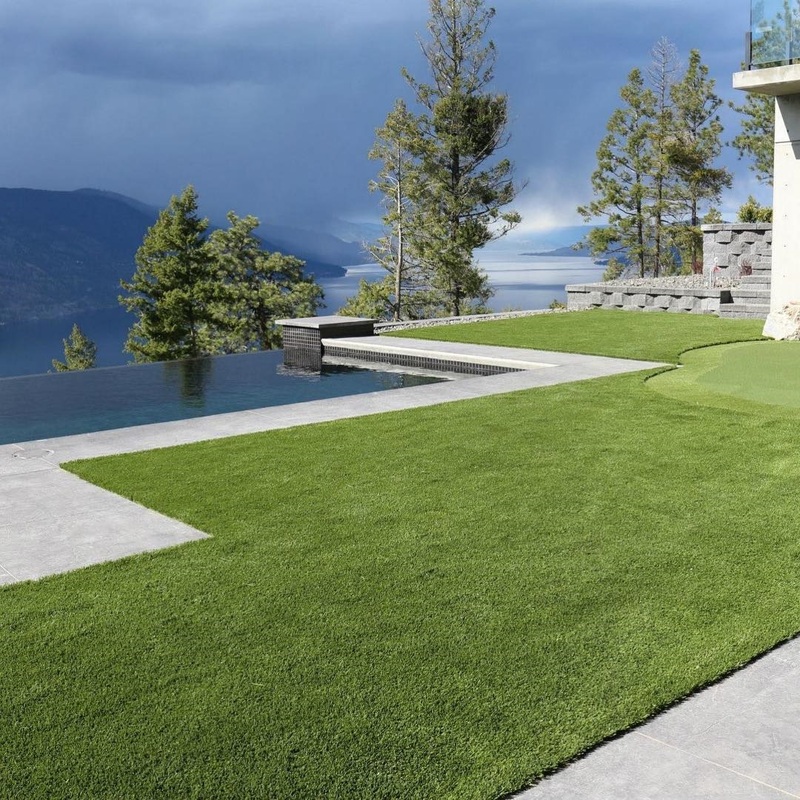 The Synthetic Turf Council (STC) and STI helped develop guidelines for to help buyers of residential, commercial and municipal landscape synthetic turf to make an informed decision. The STC recommends purchasing products with a minimum face weight (yarn weight) of 40 ounces per square yard and a minimum total weight of 67 oz./ sq. yd. The pile height (the length of an individual blade of turf) should be at least 1½ inches in length. Anything longer may look more natural, but could increase yarn weight and cost. STI offers numerous products that meet this criteria. The STC advises purchasing turf products with a tuft bind of 6.8 pounds or more. The greater the tuft bind, the better the product. STI’s products routinely top 13 pounds. Additionally, the water permeability rate, which determines how well the application drains, should be no less than 25 inches per hour. It’s important that the turf system with infill and base materials should drain to accommodate local weather and rainfall patterns. The infill system helps keep the turf from moving as it provides an even weight distribution. Infill systems also minimize the expansion or contraction of the turf when the temperature changes. Most infill options should consist of silica sands that are round, sub-round or sub-round to sub-angular. Envirofill is also a good option for infill material. You should only hire contractors who are well-established businesses. They should also comply with all federal, state and local contractor laws. They should also be in good standing with the Better Business Bureau (www.bbb.org) and the licensing board in your state. The Contractor Licensing Office in every state is available at www.clsi.com/state_contractor_license_board.htm. The contractor you select should provide references of recent completed projects in your area. Samples of infill and turf should also be provided, identifying where it was manufactured. They should also provide you with shipping labels and bills of lading, to verify the location of manufacturing. Finally, the contractor should provide you with a contract that the scope of work and the product you selected. Warranty information with contact information (should a warranty claim be filed) should also be provided to you. Finally, they should provide certificate of insurance, showing Worker’s Comp and General Liability Insurance.